“From now on, therefore, we regard no one according to the flesh. Even though we once regarded Christ according to the flesh, we regard Him thus no longer. Therefore, if anyone is in Christ, he is a new creation. 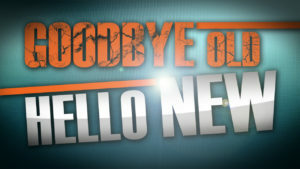 The old has passed away; behold, the new has come” (II Corinthians 5:16–17). The Gospel believed is salvation received. 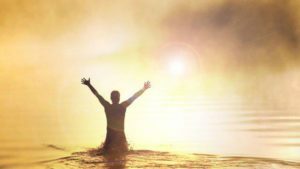 In our moment of faith, Holy Spirit plunged us into Christ. 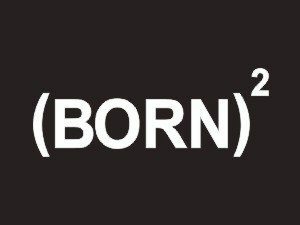 Simultaneously, the Spirit birthed new life in us: God-life. Spiritual life. Eternal life. Suddenly everything had changed. The old had gone; the new had come! Perhaps not everyone noticed the change. I came into this world with my mother’s nose and my father’s ears. These remained the same after I was born again. In other words, while absolutely everything had changed, to the casual observer nothing had changed. This is Paul’s point in the passage quoted above. Many people even looked at Jesus and saw just their neighbour, another Galilean; nobody special at all. They knew Him according to the flesh, or according to outward appearances. And outward appearance is not the business end of the Gospel. That’s not to say that the Gospel doesn’t impact outwardly. Countenances change. Postures do too. Behaviour should make a quantum shift. But the issue here is that Christians are judged by the work of Christ, and not by their outward appearance, or even their behaviour. For Christians, the old has gone and the new has come. This is so because of what the Lord has done for them and to/in them. Therein lies the defining measure. We all continue to live in our Adam-suits after we are born again. The Bible calls these vestigial components of our old lives our flesh. This flesh refers to a little more than just our physical bodies, for it encompasses the remnants of our in-Adam-ness. Thanks to our flesh, our lives have the propensity to be reduced to some kind of war zone. Our mortal bodies are subject to sickness and disease, deterioration and decay; even death. In Christ is health and resurrection. Unhelpful views, attitudes, memories and beliefs flood our hearts and minds. In Christ is a lifestyle of repentance and mind-renewal. Our flesh is by its very nature godless, rebellious, selfish and sinful. Our new life in Christ is anything but. The result can be an unhelpful religious schizophrenia. Sinner sometimes; saint sometimes. Saved today; unsaved tomorrow. Passages of Scriptures, unhelpfully applied out of context, all too easily reinforce the confusion. Into this malaise comes the Gospel with glorious clarity. Our flesh does not define us; the work of Christ does. Our freedom from any confusion is wrapped up in the once-for-all-ness of the Gospel. 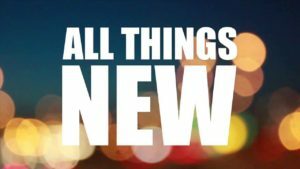 The Gospel is definitive news, and as such the Gospel defines us unambiguously. Christians are righteous. They belong to God. The Holy Spirit is in them. Period! The Christian with a hand in the cookie jar is just as justified (not guilty) as the Christian piously praying in the pew. There is no difference at all between the two according to the Gospel plumbline. Both are justified by grace alone, through faith alone, because of Christ alone. Grasping this becomes the God-given foundation for all behavioural change. 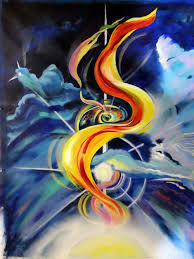 It takes us off the horns of dilemma and settles once-for-all who and what we are. Christianity is identity-driven. Christians learn to live righteously because they are righteous; to do good because they are good; to do what pleases God because they are pleasing to Him! Christians “do” because they “are”. That’s the mystery of the Gospel. By way of illustration: The early church was being prepared to disseminate the Gospel cross-culturally. At the time, while not all Jews were Christians, nearly all Christians were Jews. Consequently, the distinction between Judaism and Christianity was not all that clear. One morning, as lunchtime approached, Peter, the leader of the Christians at the time, went up onto the rooftop to pray. At that moment, Peter the apostle was Peter the hungry, and the Lord made magnificent use of the opportunity. Peter was induced into a trance-like state, and in the ensuing vision a huge tablecloth of sorts descended in front of him. In it were birds and animals of all kinds, and they all shared one thing in common – by the standards of Law of Moses, they were unclean or common. Three times the Lord instructed Peter to kill and eat. Three times he declined. Each time his reason was the same – he’d never eaten anything unclean, and he didn’t propose to do so now. Each time the Lord’s response was the same. “What God has made clean, do not call common”. From there the Gospel went to the Gentiles. From then on Peter and the Christians understood that only one thing defined clean and unclean, and that was the Gospel! 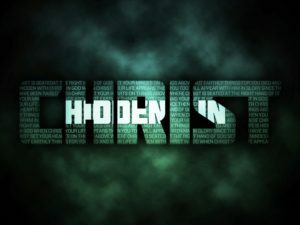 Anyone in Christ had been fundamentally redefined. It did not matter what they once were, or even what they looked like, for nothing was to be judged by its flesh. 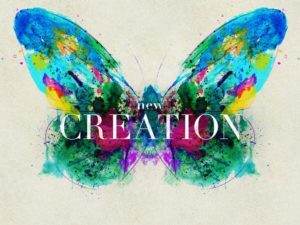 Anyone who was in Christ was a new creation. The old was gone; the new had come. To be in Christ is to be clean! Many of the Jewish brothers and sisters of the day struggled enormously in coming to terms with that, Peter included. So do we, because it takes us so firmly into counterintuitive territory. We all agree that God does not judge the book by its cover, but we’re also painfully aware that everybody else does. Perhaps in the church, this is especially so. After all, if it walks like a sinner, talks like a sinner, sounds like a sinner and smells like a sinner, well, it must be a sinner. And if it walks like a saint, talks like a saint, sounds like a saint, and smells like a saint, well, the probability is that it’s a saint. Not true, bellows the Gospel! Saints who walk and talk like sinners may well be wayward saints, and on other days they might be you and me. Sinners who walk and talk like saints are a blessing to have as neighbours, but their self-righteousness falls short of Heaven’s Perfections. It’s not unusual for things not to be as they appear in the religious arena. The church is consistently embroiled in scandal, and unhelpfully so. But even more scandalous is the Gospel, our God-given plumbline. Outside of Christ, and apart from the righteousness that is by grace alone through faith alone – everyone is leprously unrighteous. And in Christ, even the most Peter-repelling, creepy-crawly-esque individual, who evokes our immediate no-thank-you is perfectly righteous. Perfectly righteous, and mercifully, undeservedly, completely so! There is nothing fair about the Gospel. There is nothing fair about sinners being made righteous. But then, there is also nothing fair about sinless Jesus becoming a sin offering for our sake. It’s not fair, but in Christ, the old has gone, and the new has come! 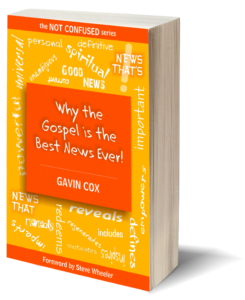 This is one of a series of posts adapted from the e-book, “Why the Gospel is the Best News Ever!” by Gavin Cox. Go to the first post in the series by clicking here, or on the icon to go to the book’s page.